This book contains proven steps and strategies on how to get moving no matter what your MS symptoms may be! 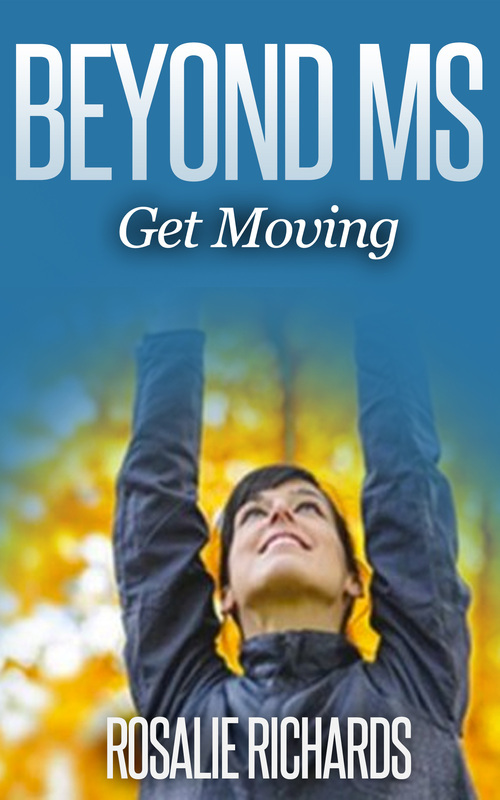 Beyond MS—Get Moving! explores the various exercises that give us more strength and helps our body with symptoms. This book explains what exercise coaches, medical leaders and researchers say about the huge benefits of exercise for people with MS—and how to inspire yourself and keep inspired! Finally—in case you really want to limit your relationship with movement, the key forms of exercise that benefit particular physical symptoms described, along with links to video classes. The final section, the appendices, provide written instructions for the major exercises listed in the book, followed by links to 200 articles and studies on MS and exercise. The good news is—you can do it! This is the moment, the best moment, to begin your exercise plan. This book will help you get started and will guide you with information and stories. As always, it is cheaper to order from this website! $10 including shipping. Just contact me through the contact page, or click the Paypal button below and follow the easy instructions.